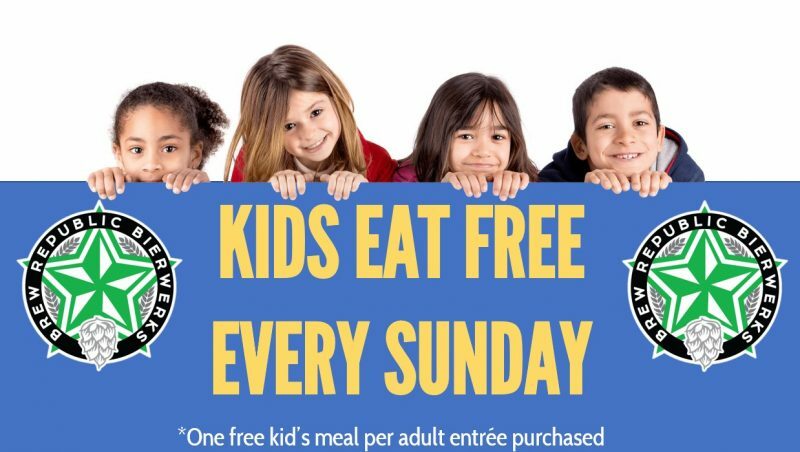 All events for Kids Eat Free Every Sunday! Starting Aug. 5, kids eat free EVERY SUNDAY. Fish & Chips Popcorn Chicken & Fries Grilled Cheese Sandwich & Fries PB&J Sandwich & Fries Join us for special Back to School events on Sundays throughout August: 8/5 Cookie Decorating 8/12 Backpack Giveaway & Kids Karaoke 8/19 Build-Your-Own Waffle Bar 8/26 Ice Cream Social *One free kid's meal per adult entree purchased.